This page will host a collection of my posts about my D&D Frankenclone Lost Songs of the Nibelungs and an index with all the terms and ideas I intent to use in it. I imagine this will be under construction for some time, but I have to start somewhere. 1. Codex Ludi (pdf) - The basic game and combat rules. 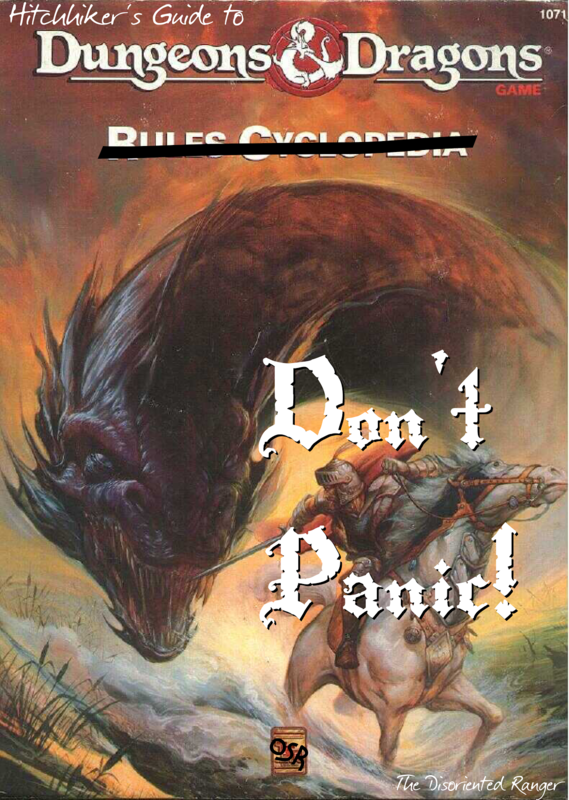 Also check the D&D conversion guide here for further explanations. Part 1: Looting "Germanic Warrior AD 236-568" (Warrior #17) by Simon MacDowall or "Who are the Nibelungs?" Part 2: An Exorcism of ... Political Correctness? "Who are the Nibelungs?" A summary of my efforts so far. 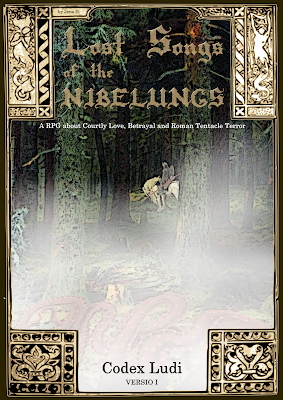 This is the core of Lost Songs of the Nibelungs, with a few ideas I didn't write about until then and some clarifications of what has been written before. More fixed terms and some ideas on the core system the game will use. Still rough on the edges, but I believe it gets the basic design choices across. The first in depth look at how I intent to use what's known as ability scores in D&D (and will be called qualities in LSotN). In this example I talk about how Wits (former Intelligence) will be used for magic and sanity. 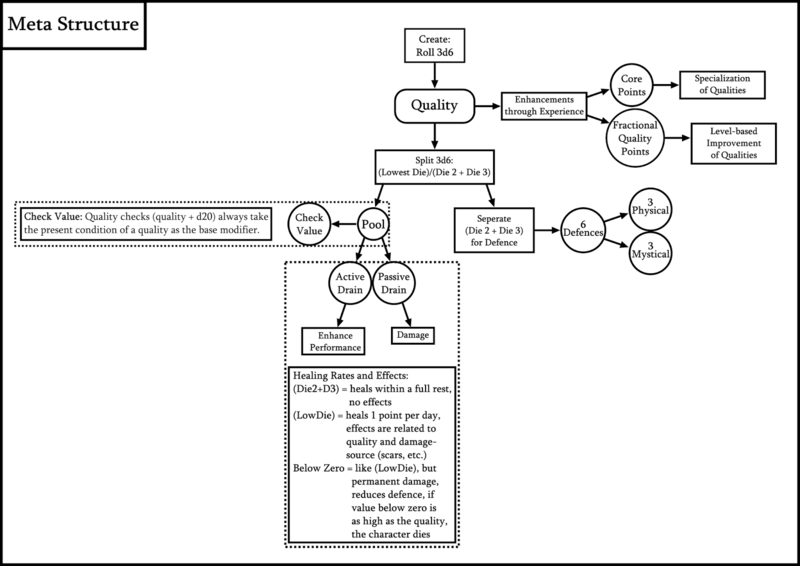 It's also about how a point-buy-system could replace the class-based system in D&D. My take on the character creation of LSotN. Again, rough outlines, but also lots of ideas I'm chewing on right now. A post about how the roll of 3d6 for an ability score/quality could have other results than it's value alone. Integrating an old D&D house rule of mine (well, it was something I liked in HackMaster 4E, but anyway ...) into LSotN. Some ideas about group dynamics and lineage in LSotN. About how the seasons should affect our games and what I plan to do about it in LSotN. Start with quality, go from there. It's the system in a nut-shell. The post explaining how it all fits together is the first link above (or here). It all started with this post about a comic re-telling the tale of Siegfried. And then I wrote a post about etymology and what it could do in D&D that got me further down the rabbit hole. The Song of the Nibelungs is in the Public Domain. A English version of this epic is here and here. More when I get there, as usual. Discussions and ideas are welcome! Lost Songs of the Nibelungs is licensed under a Creative Commons Attribution-NonCommercial-ShareAlike 4.0 International License. Based on a work at http://the-disoriented-ranger.blogspot.de/. Check out my house rules.